the cost of an hour of most attorney's time! Just use this automated Paypal e-commerce site. 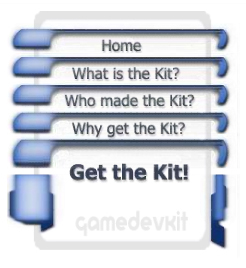 Your GameDevKit will be emailed directly to you. call 888-848-GLAW and say, "I want to Get the Kit!"